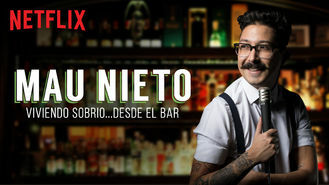 Mau Nieto: Viviendo sobrio… desde el bar (2018) on Netflix Costa Rica. Check worldwide Netflix availability! If Mau Nieto: Viviendo sobrio… desde el bar isn't available in your country, or you are visiting a country where it isn't, there is still a way to watch it! Performing at a bar, Mexican stand-up comedian Mau Nieto dishes on his modest upbringing, his failed relationships and his attempts to stay sober. Beware of this comedian: His patience for stupid questions and unimaginative Halloween costumes is wearing thin.